This is a just very random fun post .A lot of girls want to see more of Tokyo in my posts, so even though it is not related to fashion, I thought of doing a quick and short post. 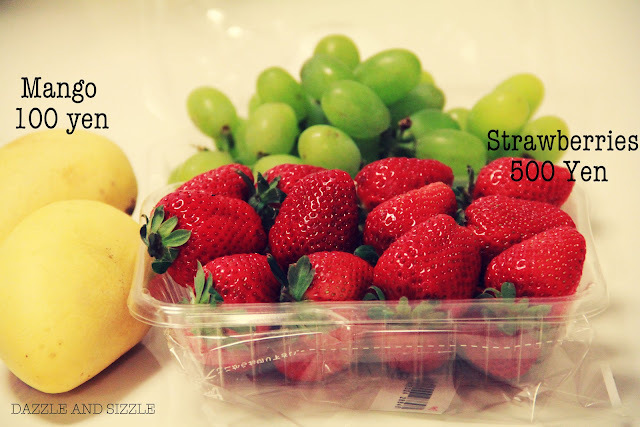 Today evening I went down to the grocery and picked up a few fruits. This is the cheapest I can ever get and I am lucky to have found these tiny mangoes at 100 yen each .The standard sized ones are around 500 yen each. 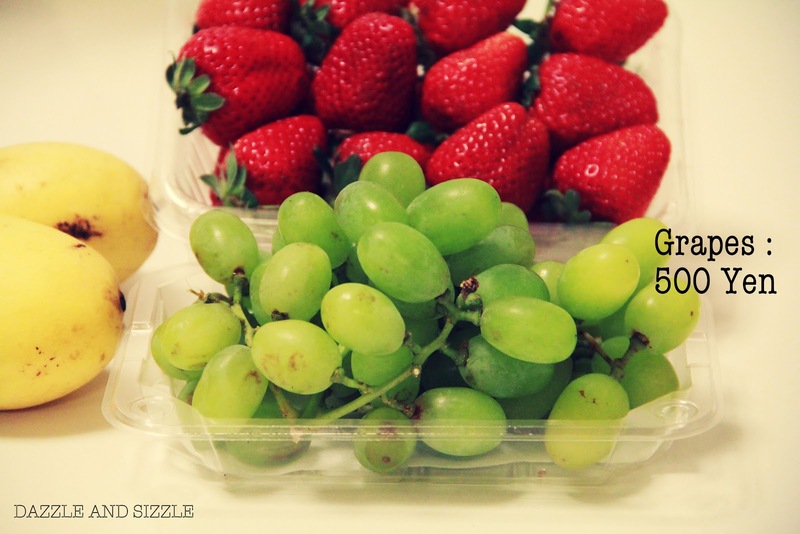 I am a fruit lover, so in india I would eat Kilos of fruits each day without really appreciating them..haha..and now it's just a bunch of grapes and handful strawberries...sigh...If you love Water Melon, you would probably need to shell out anything between 4000 yen to 10,000 yen (Rs3000 to 7000) . That is crazy! These looks lush. OMG! the watermelon prices are unbelievable. Go figure! Omfg! I have watermelon here like every.single.day !! Thank god im not in tokyo. It would have been a battle between clothes and fruits. I got a Digital Perm!